Kids Gardening Watering Can, small 1.5L capacity suitable for children, This Small Kids Gardening Watering Can with strong steel construction, zinc coated steel with powder coating on the outside, neck with brass nozzle and screw on head. The Small Kids Gardeing Watering Can with two handles, one handle over the top of the body for carring around the garden, and a handle on the back of the body to tilt the water over the plants. This Small Kids Gardening Watering Can is well balanced so little ones don`t spill half of what they fill as they go from hose to garden. This Small Kids Gardening Watering Can is suitable for ages 5+. 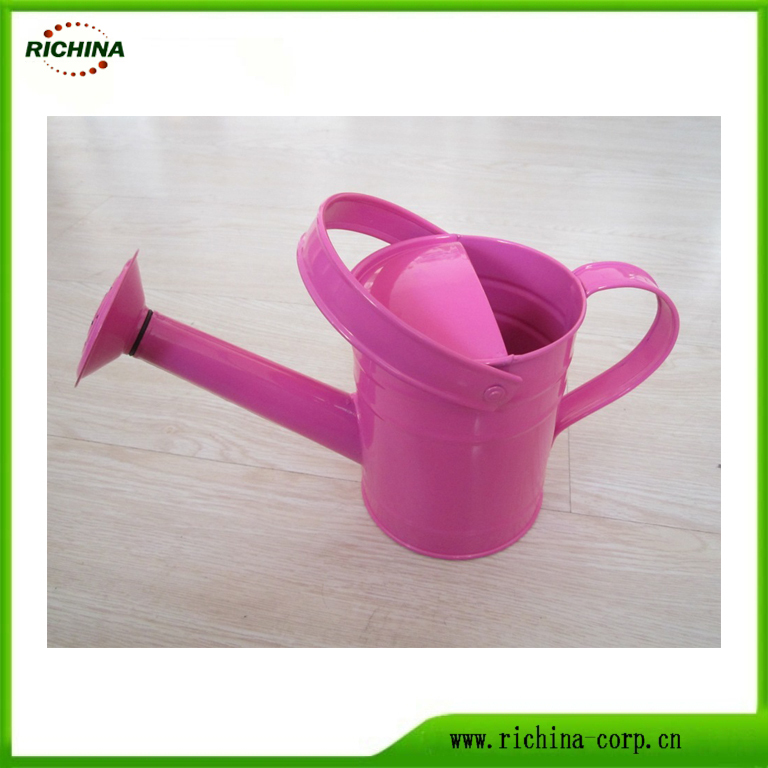 Looking for ideal Garden Watering Can for Kids Manufacturer & supplier ? We have a wide selection at great prices to help you get creative. All the Children Watering Can are quality guaranteed. We are China Origin Factory of Small Kids Gardening Can. If you have any question, please feel free to contact us.